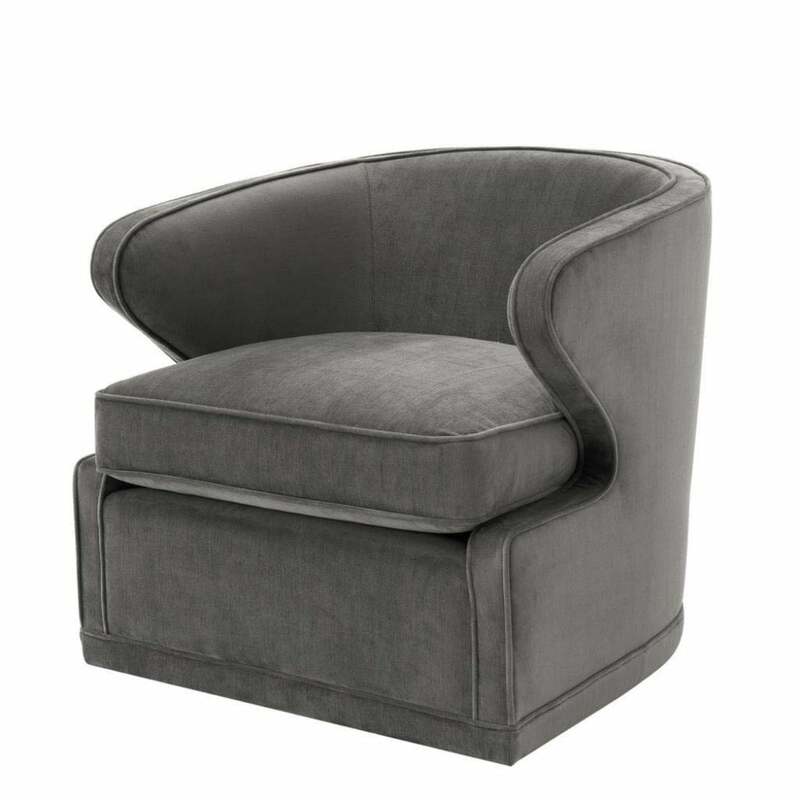 Lounge in style with the Dorset Chair by Eichholtz. This sumptuous chair is inspired by the glamorous interiors of the 1920s. Featuring a concealed swivel base system, each chair is crafted with a strong hardwood frame and ultra-padded inner for maximum comfort. This timeless piece has an elegant form with angular recess arms that create a striking winged profile. In all-over velvet upholstery, choose from four vintage-inspired colourways to complement your interior scheme. Add a pop of colour in green or blue velvet or create a luxe look in granite and pebble grey. Use as a luxurious reading chair or as an additional seating solution in a lounge or entertaining space. The Dorset Chair exudes boutique hotel style. Make an enquiry for more information.